This story is developing. Updated August 5 at 11:30 p.m. with new details. ANTIOCH, Tenn. -- A man with "significant" psychological issues who was armed with a hatchet and pellet gun unleashed a volley of pepper spray at audience members inside a movie theater Wednesday before being fired at by a police officer and shot dead by a SWAT team as he tried to escape out a back door, police said. The attacker, identified as Vincente David Montano, 29, of Nashville, was carrying two backpacks, one of which hung from his chest, and he wore a surgical mask, possibly to protect himself from the pepper spray he unleashed in large amounts during the showing of "Mad Max: Fury Road," Metro Nashville Police spokesman Don Aaron said. He said three people were blasted with the spray and treated. There were eight people in the theater, including Montano, Aaron said. POLL: Do you generally feel safe in public venues? 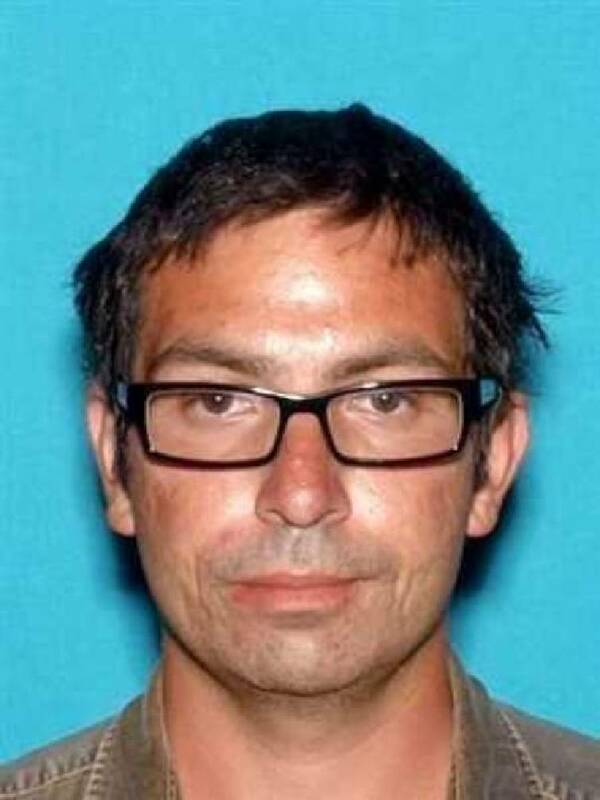 Metro police have released a photo of Vincente Montano, 29, the suspect in the Antioch, Tenn., theater attack. As Montano fled out the back of the theater Wednesday, he encountered a SWAT team and was shot dead, Aaron said. About two dozen gunshots could be heard in a 10-second period in raw video footage posted online by WKRN TV. He also noted that Montano had been arrested in Murfreesboro, Tennessee, in 2004 for assault and resisting arrest, and said he was reported as a missing person to the Murfreesboro police department on Monday. Police initially said that Montano had been armed with a gun and that he exchanged fire with the first responding officer, but Aaron later Wednesday identified the weapon as an airsoft pellet gun. "The gun is a very realistic looking gun that strongly resembles a semiautomatic pistol," he said. "If someone confronted you with it, you would think it was a real pistol. Obviously an airsoft gun makes noise. When that initial officer who confronted him reported that the gun was aimed at him, the trigger was pulled, that officer heard noises. That's when the officer fired his weapon at the suspect in that initial confrontation." 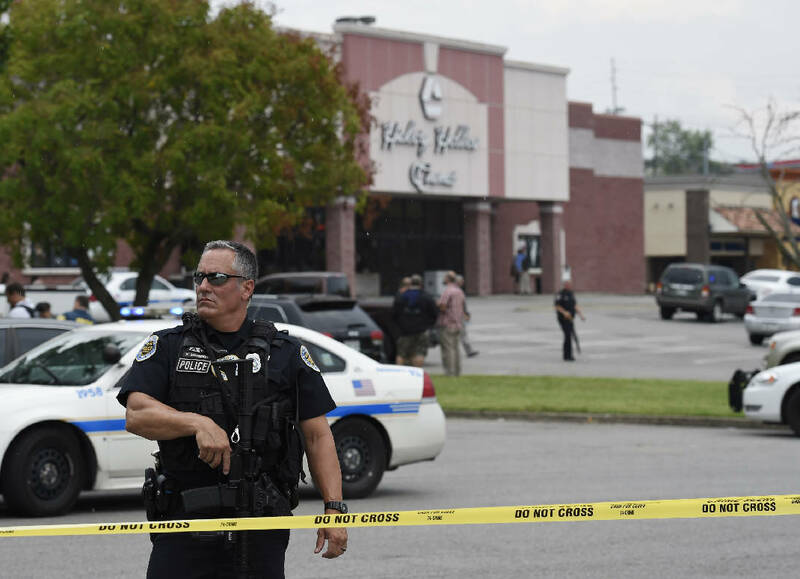 The violence at the Carmike Hickory 8 complex comes about two weeks after a 59-year-old drifter opened fire inside a movie theater in Lafayette, Louisiana, fatally shooting two before killing himself. It also happened while jurors in Colorado decide whether the man who killed 12 and injured 70 others during a theater shooting in 2012 should receive the death penalty. One of Montano's two backpacks was detonated and then found to contain a fake bomb, Aaron said. He said investigators were going through a second backpack that Montano left at the theater. No one was taken to a hospital. The only person shot was Montano, whose motive was still unclear, Aaron said. The entire event Wednesday transpired over less than an hour's time. Aaron said the first call came in about 1:13 p.m., and that two officers outside in the midst of a traffic stop responded within two minutes just as witnesses ran toward them. An officer came into the theater and was fired upon by the attacker, Aaron said. The officer shot back, then backed off but, Aaron said, the officer kept the gunman confined to a single theater in the complex. Erick Vale, 32, an Uber driver, told The Tennessean newspaper that he was dropping off passengers in the theater's parking lot when he heard gunshots. He described it as "utter chaos." "I just couldn't believe this was happening again," he said. "One of our techs went to see what was going on and he was walking down the back of our store," said Sanchez, 28. Sanchez said she later heard what sounded like "rapid fire" and saw the large police presence. Metro Nashville Police Chief Steve Anderson said violence like Wednesday's shooting are likely to happen "anywhere we gather," then added: "This is maybe what we call the new normal. We can't say we're not going to theaters, we can't say we're not going to church. We carry on." The latest shooting comes about two weeks after John Russell Houser killed two people and wounded nine others before fatally shooting himself during a screening of the movie "Trainwreck" at a theater in Lafayette, Louisiana. Police say a SWAT team confronted and killed a 51-year-old gunman who attacked moviegoers with a hatchet, a gun and pepper spray at the Carmike 8 Cinemas in Antioch, Tennessee. Three people were treated at theater for pepper spray exposure and one had possible hatchet wound, according to the fire department. No victims were taken to the hospital. The Tennessean reports that the three pepper spray victims were a 53-year-old woman, a 17-year-old girl and a 58-year-old man. The 58-year-old man also suffered a superficial cut to his shoulder that may have been a hatchet wound. The suspect was the only person shot or killed in the attack. The suspect, described initially as a 51-year-old local man, wore a surgical mask during the attack, which started at 1:15 p.m. Wednesday. During the attack, he unleashed chemical spray into the theater, attacked a man with a hatchet and fired his weapon. Police officers nearby were working a traffic accident when theatergoers running from the gunman told them there was an active shooter in the theater, a police spokesman said. The officers entered the theater, where one was fired upon by the suspect. The officer shot back, then backed off. Some minutes later, the suspect emerged from the back door of the movie theater, where a SWAT team confronted him, and there was another exchange of gunfire. The suspect was killed in the hail of bullets outside the movie theater. The suspect had two backpacks. Police decided to detonate one of the backpacks after saying it made them "uncomfortable." The theater was showing Mad Max. Channel 4 in Nashville reported that at least one person was covered in blood, and that three EMS units were dispatched to the scene. The nearby Ford Ice Center and Global Mall, which is next to the theater, have been placed on lockdown, according to WSMV, Nashville's NBC affiliate. According to the Tennessean, a police scanner traffic indicated it was still an active shooter situation as of 1:50 p.m. central time, or 2:50 p.m. eastern. Eric Vale, 32, told the Nashville newspaper that he was an Uber driver who was dropping off passengers in the theater parking lot when shots rang out. Tennessee Gov. Bill Haslam is monitoring the situation. The theater in Antioch is near Global Mall, a shopping center in a middle-class neighborhood. The theater attack would be the second in three weeks, after gunman John Russell Houser killed two moviegoers and wounded eight others before turning the gun on himself on July 23 in in Lafayette, Louisiana, during a screening of the film "Trainwreck." This story will be frequently updated as new information becomes available. The Associated Press and the Tennessean contributed to this story.